Each and every one of our readers is unique. When you open our magazine or click on our Web site, you bring your own experiences and preferences with you. I mention this by way of explaining the term “unique visitor,” which is used by online professionals to describe someone who clicks on a Web site for the first time. I am happy to welcome our unique visitors to Wine Enthusiast. Recently we’ve expanded and launched WineEnthusiast.com/mag to provide you with a depth of information about wine not available anywhere else on the Internet. We’re proud to offer this outstanding service without cost to you to further enhance your wine experience. Evidently, we are successful. The site has experienced more than a 50 percent increase in traffic per month, making it the fastest growing wine Web site in the world. In addition to the 40,000 (and growing) wine ratings and reviews, our new site now offers over 2,000 reviews of distilled spirits. Talk about “unique”—these spirit ratings are virtually one-of-a-kind on the Internet in terms of organization and authority. It’s an easy site to navigate. From the home page you’ll find a listing of award-winning restaurants and retailers; a thorough calendar of events, offering concise information on wine events across the country; the world’s best Vintage Chart, which will further help you make wise buying decisions, especially at the upper end of the wine spectrum; and much more. You can look up features from years ago in our archives and search by subject to find what you want to know. “Hot off the press” online exclusive wine news stories are updated every day by our worldwide staff of journalists. We also provide a “Breaking News” section to expose you to virtually every wine article available daily online in real time. 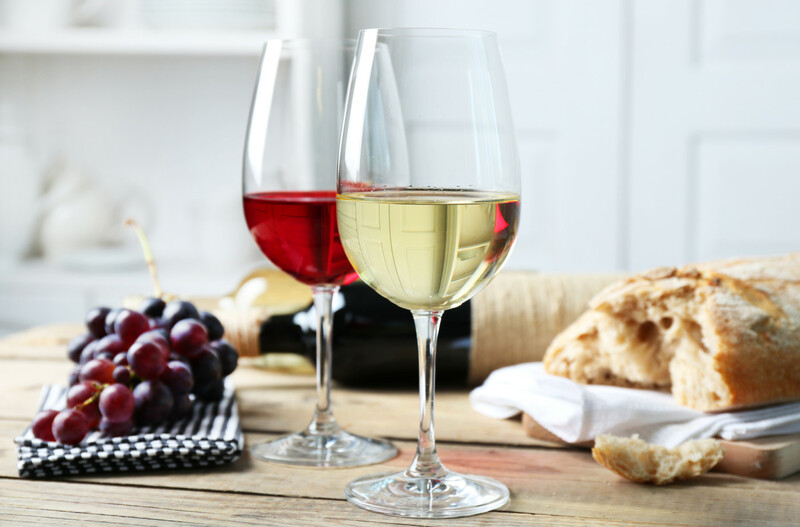 Both of these free services make Wine Enthusiast Online the choice as your daily source for what is happening every moment in the world of wine. So come visit us now at WineEnthusiast. com/mag. You’ll open a new world of wine for yourself. In this issue, Contributing Editor Michael Schachner finally gets a chance to write about Barcelona. He has been chomping at the bit to do this story for years, as he has witnessed first-hand this city’s growth as a European capital of culture and cool. Schachner notes in the introduction to his article that for every restaurant, wine bar, architectural site or hotel he recommends, he could easily recommend five more—the city has that much to offer. Roger Voss offers an entertaining, insightful and useful article on Champagne. If you’ve ever fallen prey to the idea that a nonvintage Champagne is somehow intrinsically inferior to a vintage bottling, then you will glad to know that each offers a beautiful example of the winemaker’s art. As Voss notes, nonvintage Champagne is a reflection of the house style, while a vintage bottling is a reflection of the year. This tradition—of declaring a vintage in only the best years, and otherwise blending wines from a number of years and subareas—has ensured that Champagne, the region, has weathered the storm that has afflicted much of the rest of France, in terms of varying quality. Voss offers his expertise elsewhere in this issue. You’ll find his article on the increasing production of world-class red wines from South Africa, particularly Cabernet Sauvignons and Bordeaux blends. The winemakers of that country have had to overcome any number of economic obstacles and setbacks from Mother Nature in order to ride the learning curve toward winemaking excellence. What they have discovered is that they have all the tools they need, particularly the soils and climate, to craft wines of distinctive flavor and complexity. Their confidence in their future is exhilarating to share. Duck is found on the menus of some of the great restaurants of the world; it is an extraordinary match with wine. But duck is a tough bird to deal with in an amateur’s kitchen. Karen Berman gathers tips from the pros on how chefs with less experience and homestyle equipment can prepare duck successfully. And to round out the issue, Gary Regan, professional bartender and instructor in the cocktailian arts, offers his annual report on the hottest cocktails in the haut-est lounges across the country). This issue will have you running to your computer to book plane tickets to Spain or buy some vintage Champagne, but first I urge you to click on wineenthusiast.com/mag. The world of wine is at your fingertips there, too.